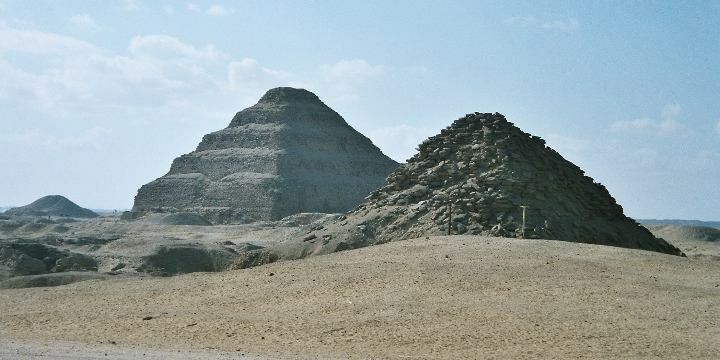 Forty armed men attacked an antiquities warehouse in the northern Egyptian city of Kafr el-Sheikh on Saturday, shooting at warehouse security men and injuring several, state news agency MENA said. The attack is the second attempt to rob Kafr el-Sheikh’s Tal al-Faraeen (Hill of the Pharaohs) antiquities warehouse since Jan. 25, the first day of the nationwide protests that toppled President Hosni Mubarak on Feb. 11. The demonstration in a leafy enclave of Cairo was one of many protests and strikes that have sprung up in Egypt as people voice their grievances for the first time after Mubarak’s heavyhanded reign over the last three decades. The archaeologists’ protest was also deeply personal, with protesters saying Hawass was a “showman” and publicity hound with little regard for thousands of archaeology students who have been unable to find work in their field. Hawass has maintained that his first love is Egypt’s heritage, not himself, and that courting publicity raises the national profile. The graduates said the antiquities ministry had offered them three-month contracts at 450 Egyptian pounds ($75) a month, hardly enough to survive. They noted that Egypt’s tourism industry is a major foreign currency earner, and yet it was unclear how exactly the government was spending the income. Hawass is a showman. He has garnered a great deal of attention, and also raised the profile for Egypt’s heritage, and its calls for repatriation. But in the new Egypt, will that approach still be suitable? I can understand the frustration of recent graduates, angry that they are paid very little. How will this shape the relationships Egypt has with foreign archaeologists? 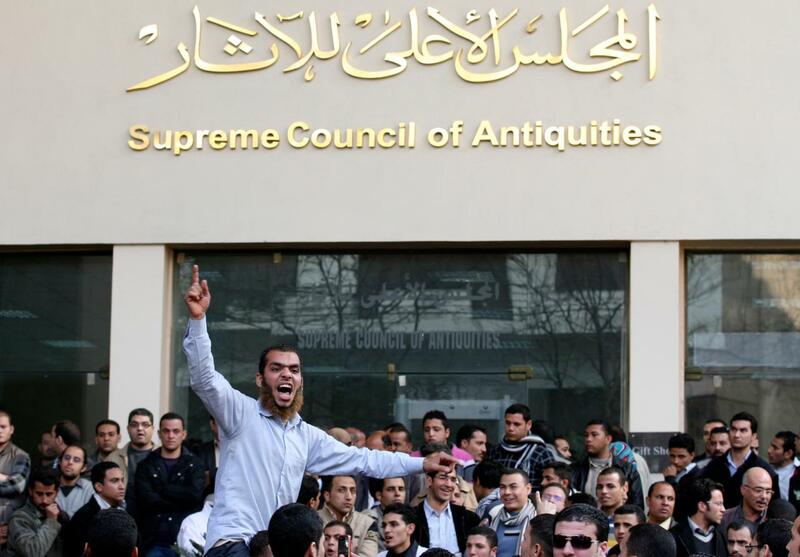 The Associated Press: Protesters target Egypt’s antiquities chief, February 14, 2011, http://www.google.com/hostednews/ap/article/ALeqM5gNv6IKRhurEYPmjAzVk86a0tsX8g?docId=d818e386afeb449d988b51bc767e96d7 (last visited Feb 14, 2011). On Friday, he rightfully took John Merryman to task for using the acquisition of antiquities by Marion True for the Getty as an example of due diligence procedures which were unfairly criticized by archaeologists in 1989. Gill points out that the archaeologist’s criticisms of the policy were vindicated with the decision by the Getty to return 40 objects. I think Merryman should admit he was wrong on that point. However, Merryman’s more important point, and the one Gill fails to account for is that there needs to be a licit trade in antiquities with clean provenance, and the current state of regulation in source nations makes that impossible. We should also keep in mind that the new acquisition procedures of the Getty museum are now quite rigorous, and the Getty should be recognized for righting its ship. The Indianapolis museum of Art has also adopted some very strict procedures. I do not think anyone would argue that the present legal framework of regulating antiquities works. Sites are looted, and the black market continues to thrive. The important question becomes how can we prevent that? Establishing provenance is a difficult thing to do, especially when they are often fabricated. Auction catalogs say “from a Swiss collection”. Such information is not enough to create a clean chain of title. Relying on such information is not enough to satisfy a proper due diligence inquiry either. A very important and inexpensive step which source nations absolutely must do is to document their collections. Granted, such a step may have been more difficult 10 or 20 years ago, and the letter could have provided more details to Saleh, but Egypt needs to make it easier to check provenance, not harder. The museum made a questionable acquisition to be sure, but Egypt dropped the ball as well. This reinforces Merryman’s persuasive argument that source nations should consider excess cultural objects which are merely gathering dust in a storeroom. At the very least I think antiquities leasing or long-terms loans should be used. It adds to the cultural exchange, and most importantly creates revenue which can be used to protect sites and excavate them before looting takes place. I’m sitting in the office of Zahi Hawass, chief of the Supreme Council of Antiquities, in Cairo. His office, in the SCA headquarters on the island of Zamalek, is a garden variety Egyptian bureaucrat’s bland mix of tan walls and oversized stuffed furniture. (Happily, the wireless Internet works.) But there’s a curious thing in the lobby. In a large vitrine, the famed bust of Nefertiti — see it at left — sits in a place of honor. Strange because this is a copy, and Egypt has no end of authentic artifacts to show off in the lobby of its antiquities service. 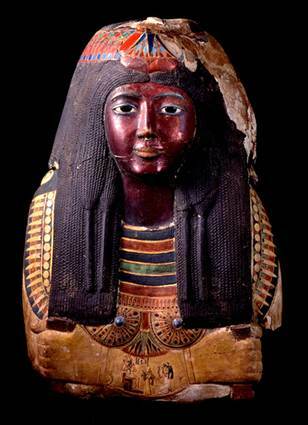 The bust has not been in Egypt since its discovery in the first part of the 20th century. 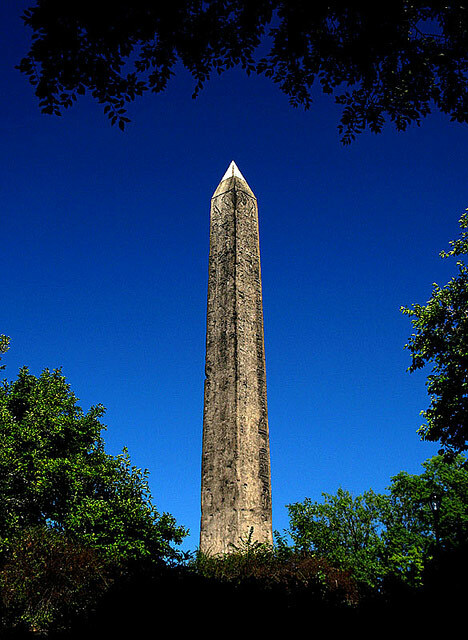 It now lives in Berlin, and is prime on Hawass’s list of requests for loan in 2012. Berlin has responded that the statue is too fragile to travel. Hawass does not accept this argument, and continues to push.